When the GSS Bahrain team galvanises around a project, they are truly unstoppable – no matter what the odds are! The team recently proved that determination, hard work, excellence and team spirit really do pay off when they won the bid for NEX (Navy Exchange). NEX is the family supermarket within the Navy Base in Juffair, used exclusively by US Service Personnel and their families. The bid was originally made in June 2015 and the contract was set to start on April 1, 2016, but due to the long process behind officially getting awarded, the GSS Bahrain team were only informed of their success on March 20, 2016. Remarkably, the team was able to mobilise the entire project and execute it without any glitches in just 11 days – even though the mobilisation period was set for 45 days as per the contract! This incredible display of how a team comes together to achieve a challenging goal was no easy feat. “The Customer Service team went above and beyond with a huge amount of tireless hard work,” said Charles Swamy, GSS Bahrain Sales Manager, who managed the project’s mobilisation. “This was especially evident as we raced against the clock on March 31. Starting at 6am, the team worked well past midnight, ensuring that the setup was complete and that operations ran smoothly at the required time,” added Charles. 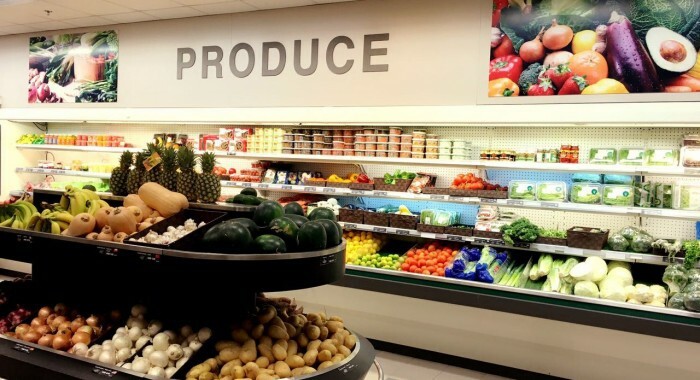 The three-year fresh fruit and vegetable counter contract is anticipated to deliver BD1M in sales over its duration. In order to run this program most effectively, GSS Bahrain also welcomed four new team members to provide additional support. All this achievement did not go unnoticed, the team has already received great feedback from the Contracting Officer and heard many positive comments from customers as well! This inspiring display of exceptional service by the GSS Bahrain team is a fantastic example of the spirit of performance that permeates in the company and the BMMI Group as a whole. A big thank you and congrats to every single member of the team for being able to pull together this project and dominate this challenge! Great job team!